Florida has always been a dangerous place for motorcyclists, and unfortunately it is getting even worse. Some blame Florida’s historical high rates of motorcyclist fatalities on the great riding weather, which means that, overall, there are just more motorcyclists on the road here than in most other states. Others blame the high fatality and injury numbers on the fact that Fla. Stat. 316.211 does not require a motorcyclist to wear a helmet. Motorcyclists are hit and injured, often by distracted, drunk, or aggressive drivers. 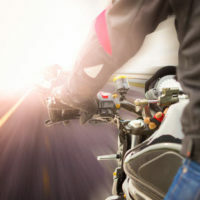 If you were injured in a motor cycle accident, whether or not you were wearing a helmet, you deserve to be financially compensated for your injuries, pain and suffering, and property damage. In 2015, 577 motorcyclists were killed on Florida roads, according to the Insurance Institute for Highway Safety. And, according to ABC News, the truly unsettling issue is that this number was just 449 the year before. That rise represents more than a 28.5 percent increase in fatalities in just a 12-month span of time. While overall traffic fatalities did rise significantly from 2014 to 2015, they did not do so by such a great amount. In fact, in 2015, a staggering 20 percent of all traffic fatalities were those of motorcyclists, despite motorcyclists making up just a small portion of traffic. Motorcyclists are in constant danger of being side-swept because drivers fail to look into their side mirrors or over their shoulders. Motorcyclists are constantly crowded and intimidated into yielding the right of way to larger motor vehicles. Drivers will pull out of side streets or intersections directly in front of a motorcyclist approaching, when they would otherwise not do this if it were a car or a truck. This often happens because people have a hard time judging speed, and danger, of smaller objects. The larger the object, such as a semi-truck, the faster, and more dangerous, a driver will perceive it. Regardless of the reason that the driver pulled out, they should be held responsible for financial compensation to an injured motorcyclist. Is Distraction The Root Cause of Rising Fatality Rates? While traffic has increased to a small degree by just a few percentage points, the increase in traffic fatalities, especially involving motorcycles, can be most obviously attributed to distraction as a result of cell phones and electronic devices. In these scenarios, there may be a punitive damages count added to the count of negligence in a lawsuit if the Plaintiff can show that the Defendant was texting or using his/her phone for another reason like watching YouTube or playing Pokemon Go. If you were involved in a motorcycle collision, an experienced West Palm Beach motorcycle accident attorney can give you the legal answers you are looking for in terms of seeking financial compensation from the party that caused your injuries. Call the Celeste Law Firm today at 561-478-2447 for assistance.